The Dyspraxia Foundation has announced it will be re-launching its helpline thanks to a major grant from the Big Lottery Fund. The £166,265 grant, to cover the next three years, will enable the charity to reopen its helpline, employ an information officer and run conferences in Birmingham and Manchester for children and adults with dyspraxia and their carers. Two years ago the charity, dedicated to raising awareness of dyspraxia and championing the needs of people living with the condition, was forced to close the helpline after funding cuts. Dyspraxia is a little known but relatively common lifelong neurological disorder affecting up to six per cent of the population. 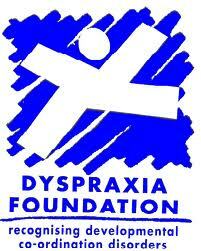 Dyspraxia affects the planning of what to do and how to do it. It is associated with problems of perception, language and thought. Michele Lee, chair of the Dyspraxia Foundation, said: “We are overjoyed with this funding, which means we will be able to help the 12,000 people who come to us for urgent advice each year with a dramatically improved service over the next three years. "As a result of the Big Lottery Fund grant we can re-launch our helpline and develop new advice leaflets and information materials. Although dyspraxia affects two children in every classroom, very few people know much about it so it is crucial we continue our work to raise awareness." A series of workshops will also take place in Manchester and Birmingham aimed at parents, adults with dyspraxia, teachers and medical professionals and will be run in association with local disability groups. The workshops will be filmed and highlights will be made available online to widen the reach of the project. As well as that, a text service for deaf people with dyspraxia will be developed, and adults who are struggling in the workplace will be given advice on communicating effectively. Young adults with dyspraxia have a higher chance of being unemployed, reading and writing difficulties and having a criminal record.